Another new feature is “Live Location Sharing” which gives users the ability to share their location and plans with a Facebook friend or family member (via Messenger), according to CNET. This second feature seems to be aimed at users with safety concerns, which has been an important issue among female online daters. If Facebook Dating users are able to let someone know where they are or alert them to whereabouts discreetly, Facebook is hoping it will encourage more people to meet in person. Facebook Dating has tried to distinguish itself from apps like Tinder by positioning itself as a more relationship-focused app. Case in point: there is no swiping feature on Facebook Dating. Instead, users are encouraged to look through other people’s profiles without mindlessly swiping, and you can tap on a profile if you are interested. Facebook Dating doesn’t connect you with people who have already friended you, but matches you with others who share your interests, or who are part of your friends’ circles on Facebook. 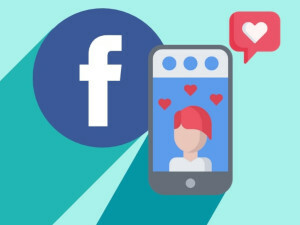 According to MS Power User, Facebook also seems to be working on adding a “hobbies” feature to its traditional service, allowing users to find others with similar interests, which could translate nicely to its dating app. The social media giant has come under fire recently for security breaches and for sharing the personal information of its users with preferred third parties. Some have become distrustful of Facebook’s privacy policies, which might be why the company is choosing to roll out its dating platform slowly. Whether users in the U.S. will embrace the dating feature once it’s launched here is questionable. Apps like Tinder and Bumble already have established brands in the online dating world, so it remains to be seen if the social media giant will be intriguing and trustworthy enough for users to give it a chance. Currently Facebook has 2.27 billion monthly active users with over 200 million who have their relationship status set to single. For more on this service you can read our review of Facebook Dating.